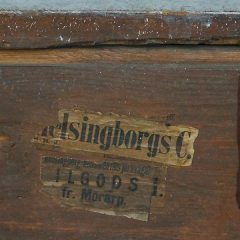 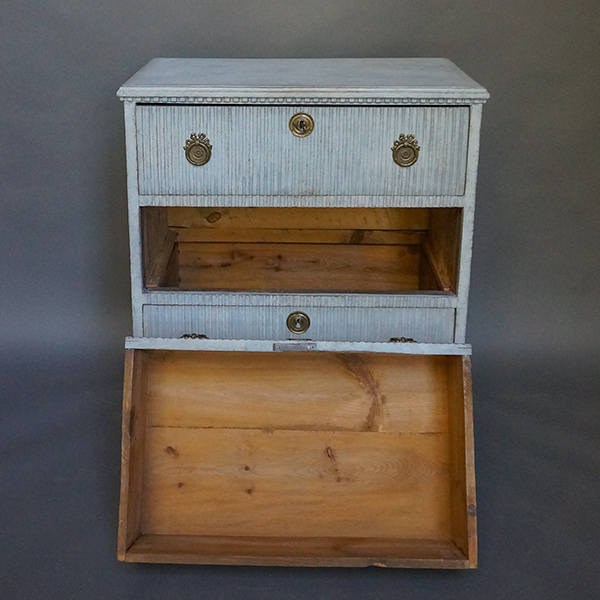 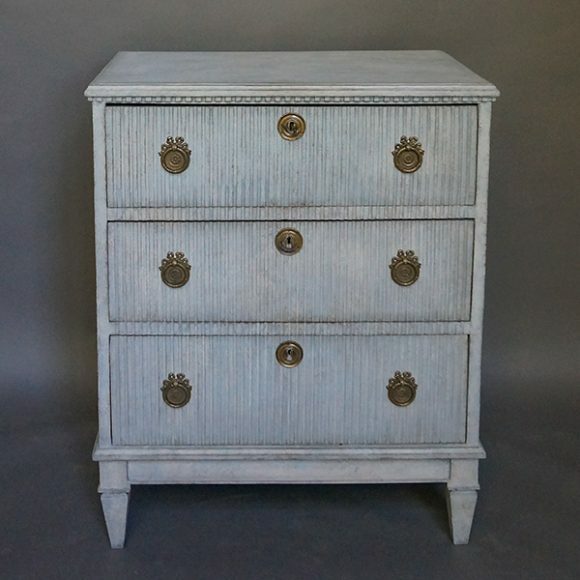 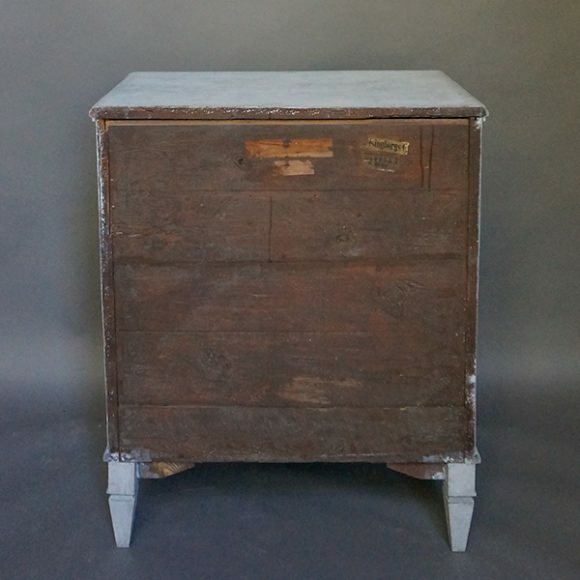 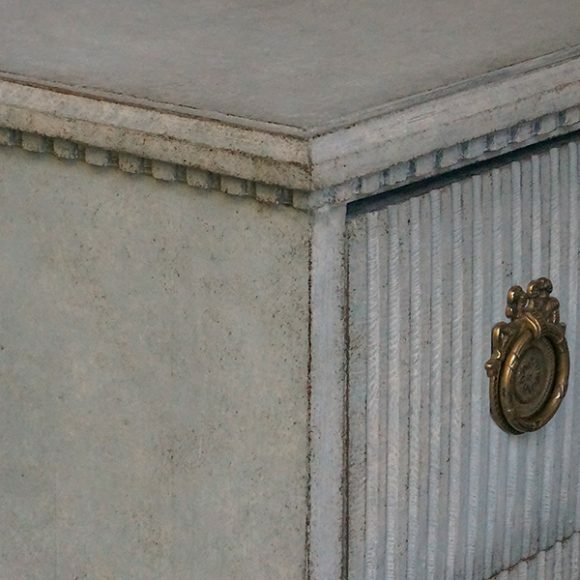 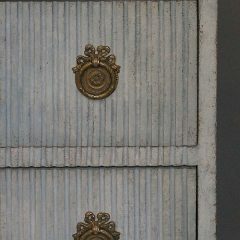 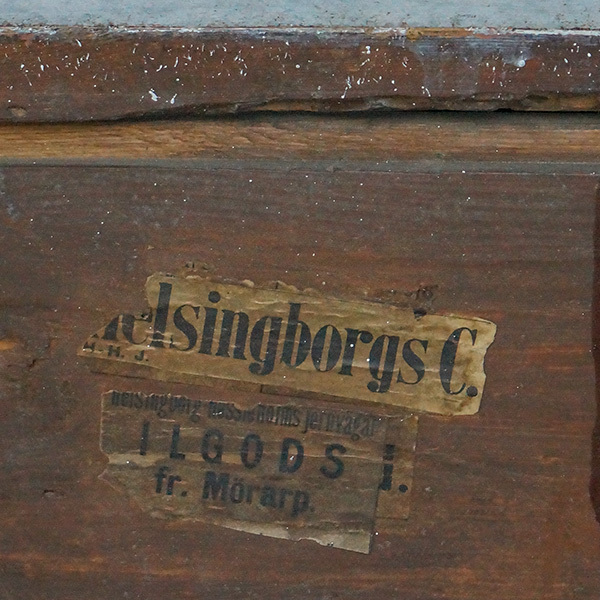 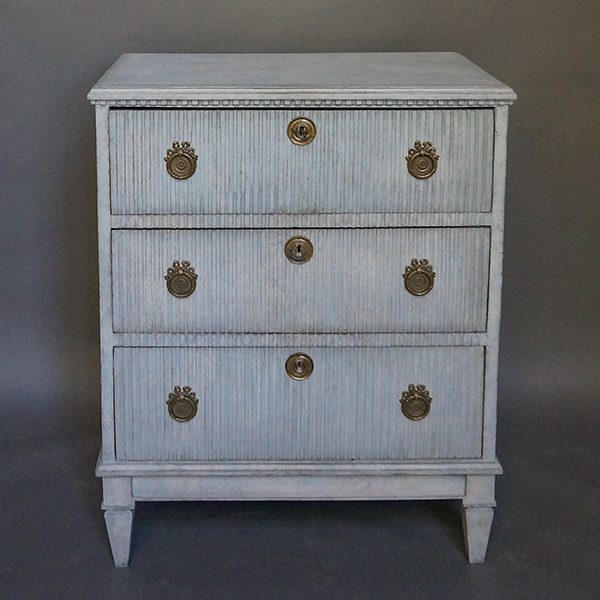 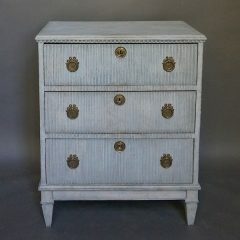 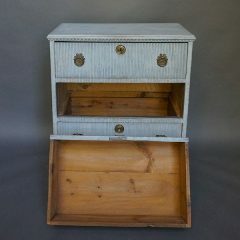 Three-drawer chest, Sweden circa 1870, in the Gustavian style. Dentil molding under the top and reeding on the drawer fronts which is carried onto the frame. 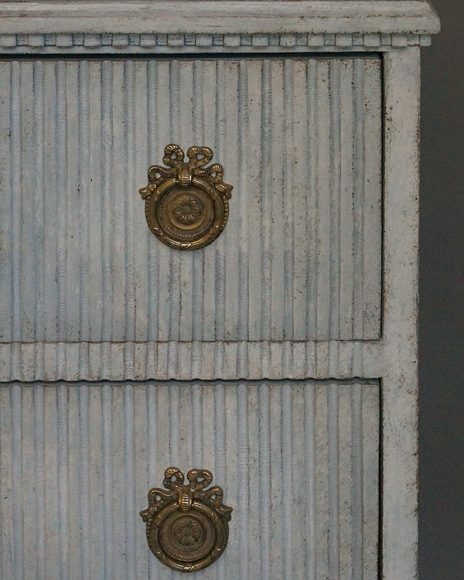 Brass hardware and tapering square feet.